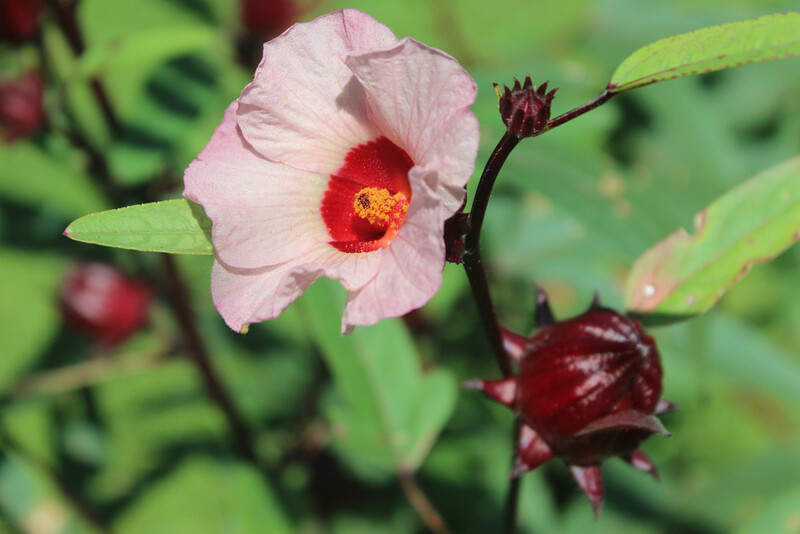 Swirly Head Hibiscus Wine is made from Hibiscus sabdariffa. 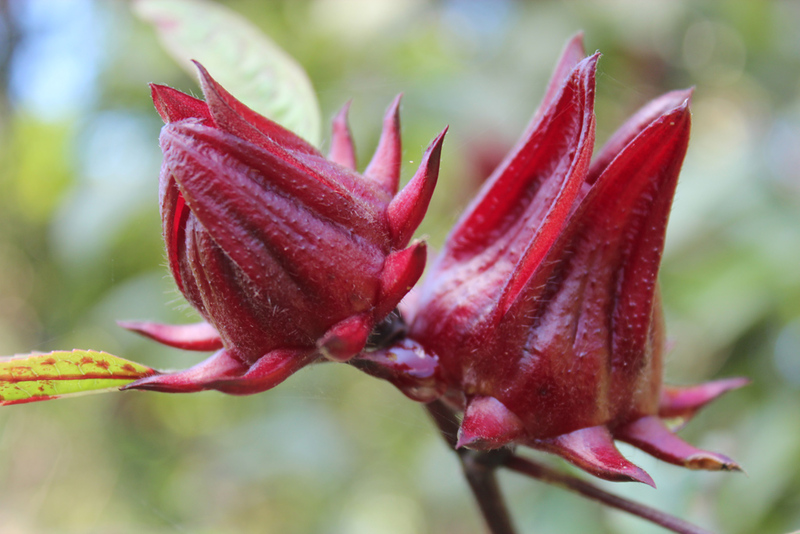 Hibiscus contains many healthy antioxidants proven to improve high blood pressure, diabetes, cholesterol, blood flow, and digestion. It contains more antioxidants than grapes. 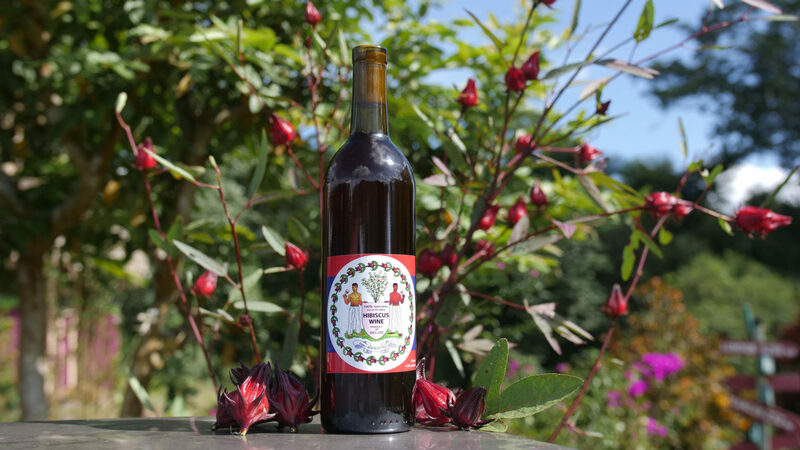 Swirly Head Belize Fruit Wines uses the freshest, organically grown hibiscus from Lower Dover in Western Belize. We ferment using only rainwater, organic fruit, sugar, and wine yeast. All planting, harvesting, production, and bottling is done by hand at Lower Dover. Swirly Head Wine is unfiltered, contains no sulfites, and is ready to drink. Try Swirly Head Hibiscus Wine chilled by the beach as a rosè. Serve it at room temperature as a sherry style digestif. Or warm it (don‘t boil!) with a cinnamon stick to beat the next cold front. Such a hidden gem in the midst of nature while also on a 10min walk from the main road! And Maddy - the owner - is really a sweet heart who took such good care of us! We stayed in a private cabaña which was probably the nicest place we've stayed at; had amazing sweet potato curry with lots of veggies and delicious breakfasts that Maddy made for us; walked along the trail; saw the ruins; swam in the little lake; and spent time on our veranda on some rainy days. Very much recommended! Eine schöne Anlage etwas ab vom Schuss. Aber innerhalb von 10min Fussmarsch ab der Hauptstraße zu erreichen. Die Preise für Essen und Getränke sind etwas teuer, daher habe ich selber gekocht. Die Besitzer sind freundlich und hilfsbereit. Auf der Anlage hat es einen Trail, einen Fluss zum Baden und auch eine kleine Maya Ruine. This place was amazing. Maddy and her family could not have been more friendly. We were two very tired travlers who made errors when booking (wrong date so just showed up unannounced!) and Maddy accommodated us without question also helping us book our tour to the Aim caves. The grounds are beautiful and we loved the guide dogs who accompanied us whilst we explored the nature trail and Mayan ruins on site. Room was very comfortable and clean. Highlight of our stay here was sitting in the porch in the dark and watching the fire flies sparkle! Beyond fantastic! 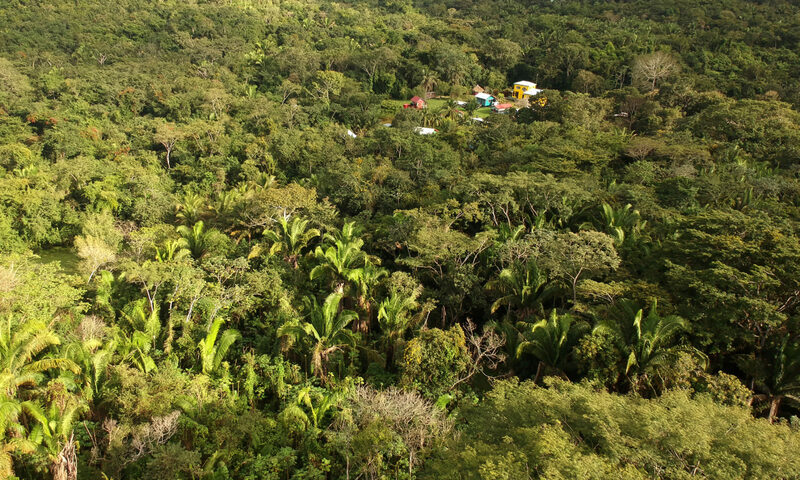 Cool, clean cabanas, nearby waterfalls and jungle trails. Be sure to take the tour of the on-site Maya ruins & jungle medicine trail. There are high end, mid level and budget cabanas plus hostel like dorms. We took the bus to Unitedville from the BZE airport but other guests arrived via taxi. Even though Lower Dover is only a few minutes off of the main highway, we were impressed by it's deep jungle vibe & the amount of wildlife we saw....yes even toucans! Their tour of the ATM Cave was the highlight of our trip in Belize. One of the best vacations my boyfriend and I have had together.